5-Minutes Quick Dry: 1875W salon-perfermance AC motor dries your hair 45% faster comparing to other hair dryers with up to 3x longer life, less drying time, longer lasting life. 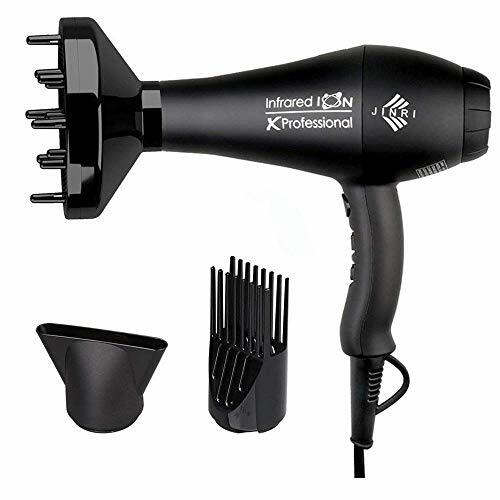 Anti-frizz Infrared & Negative Ion: Jinri 1875W ceramic dryers emit non-damaging infrared heat gently for added heat protection to reduce up to 60% less frizz, while the ionic technology dry your hair much faster and styling for smooth, silky hair. 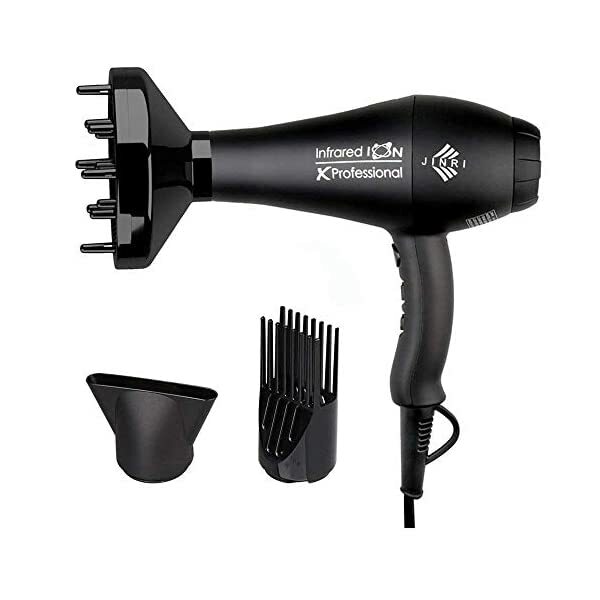 3 Heats/2 Speeds setting/Cool Shot Button for flexible heat and air flow, drying for different hair textures and styling locked by Cold Shot Button.